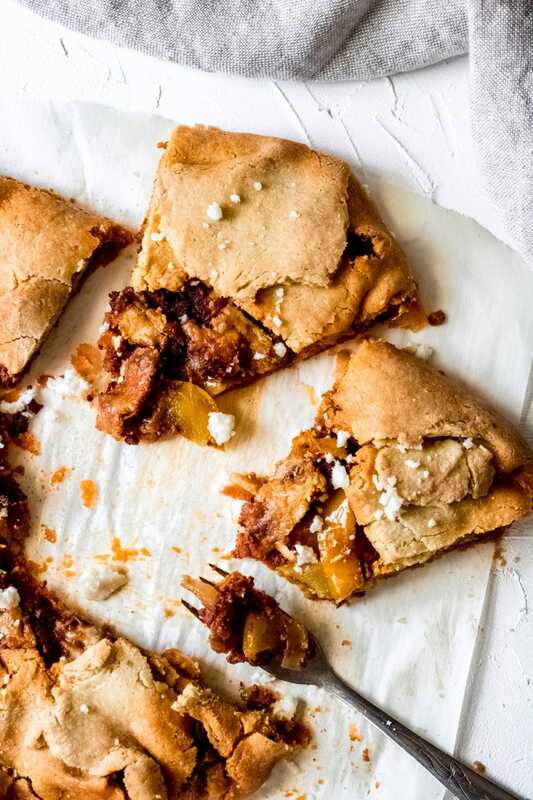 Not all gluten-free galette recipes have to be sweet, like with this Savory Southwest Galette. I love my sweet galettes with a classic pie crust, but sometimes I like to switch things up and go for a savory galette. 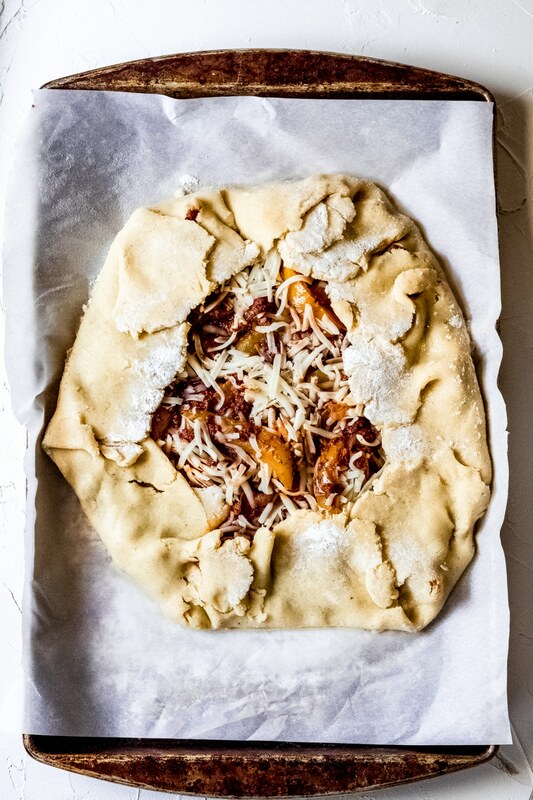 This gluten-free galette has a cornmeal crust and is filled with chorizo, peppers, and cheese. It’s perfect for brunch, brinner, or breakfast – you choose! Savory galettes make the perfect brunch recipe because what’s brunch without a mix of sweet + savory? A savory galette will compliment your sweet dishes and would also pair well with a Mimosa or Bloody Mary! 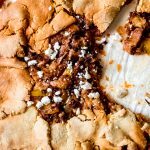 But, if brunch isn’t really your thing, of course, this savory southwest galette would make for a delicious breakfast at home or even “breakfast” for dinner aka brinner! The crust is gluten-free, made with a combination of gluten-free flour and cornmeal. And, this crust is super easy to make using just a food processor. Let’s dive into the recipe! Time needed: 1 hour and 20 minutes. For a full list of ingredients and instructions, see the recipe card below. 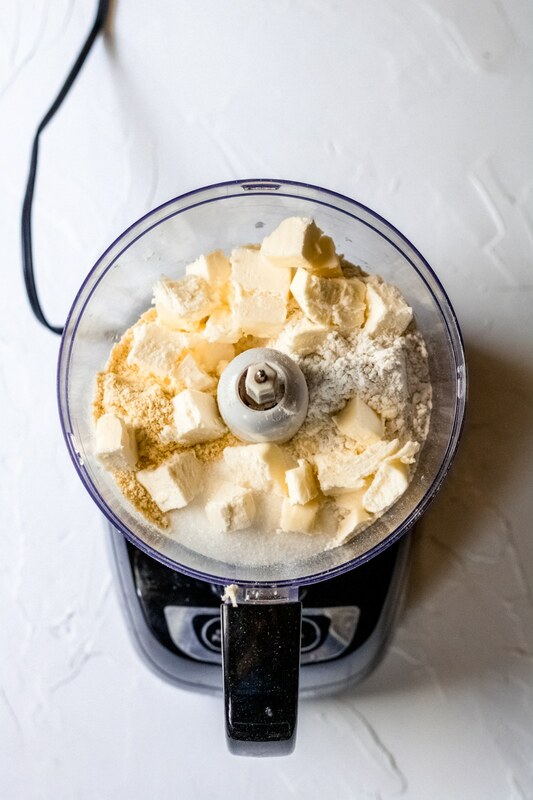 Add the flour, cornmeal, sugar, and butter to a food processor. Pulse until you get coarse crumbles. Then, add the egg and water, pulse again until the dough comes together. 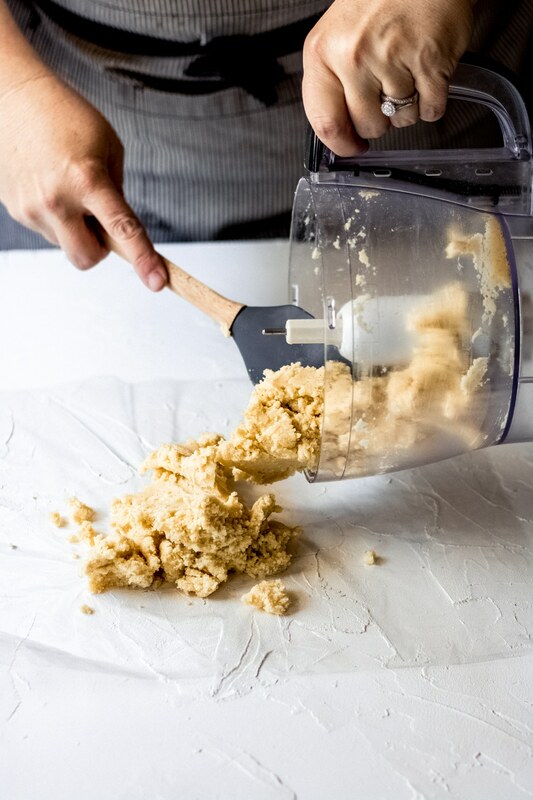 Using a spoon or spatula, transfer the crust from the food processor onto plastic wrap. Form dough into a ball or disc, wrap, and refrigerate for 30 minutes. While the dough is chilling, cook the chorizo, peppers, and onion. Once the dough has chilled, remove and place onto a floured piece of parchment paper. Then, using a floured rolling pin, roll the dough into a 12-14 inch circle. Next, transfer the cooked chorizo mixture onto the center of the dough. Gently fold up the edges of the crust, pinching any areas that may crack. Top with shredded quesadilla cheese. Carefully transfer the galette, parchment paper and all, to a baking sheet. Trim the edges of the parchment paper so that none is hanging off the edge. Bake for 35-40 minutes or until the crust is golden brown and crispy. Remove from oven and let cool for 5 minutes. Then, top with crumbled queso fresco and serve. What kind of meat is chorizo? Chorizo is a type of pork sausage that is seasoned with smoked paprika and other spices (which gives it that deep red coloring). Cornmeal itself is gluten-free, however, be sure to check the package listing to make sure there are no added fillers that may contain gluten. I use Bob’s Red Mill gluten-free cornmeal. Can I freeze this galette? Yes, you can freeze a baked galette for up to 3 months. Make sure it is well sealed. Thaw in the refrigerator overnight and then reheat in the oven at 350 degrees F. for about 15 minutes. Can you eat raw chorizo? The raw chorizo used in this recipe should be fully cooked before eating. 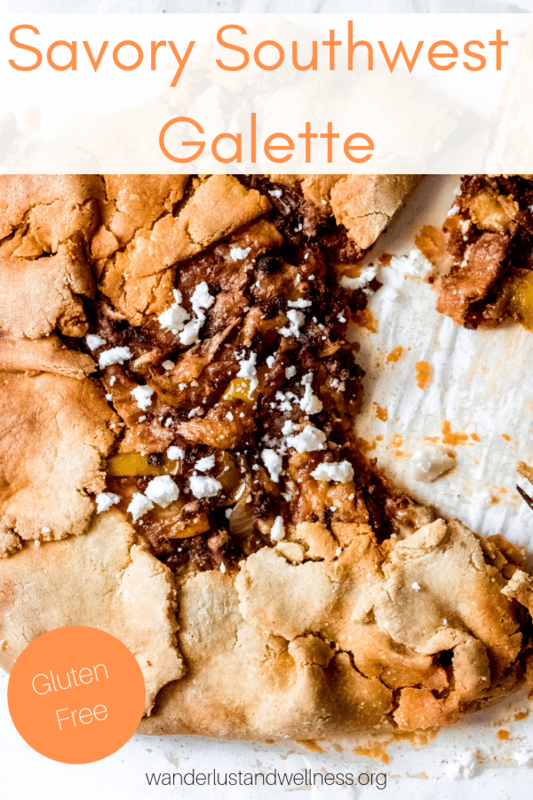 How long does a galette keep? You can refrigerate any leftover savory southwest galette for up to one week. Do not store at room temperature. Enjoy these other savory breakfast recipes! A savory southwest galette that’s gluten-free – made with a cornmeal crust and filled with chorizo and peppers. 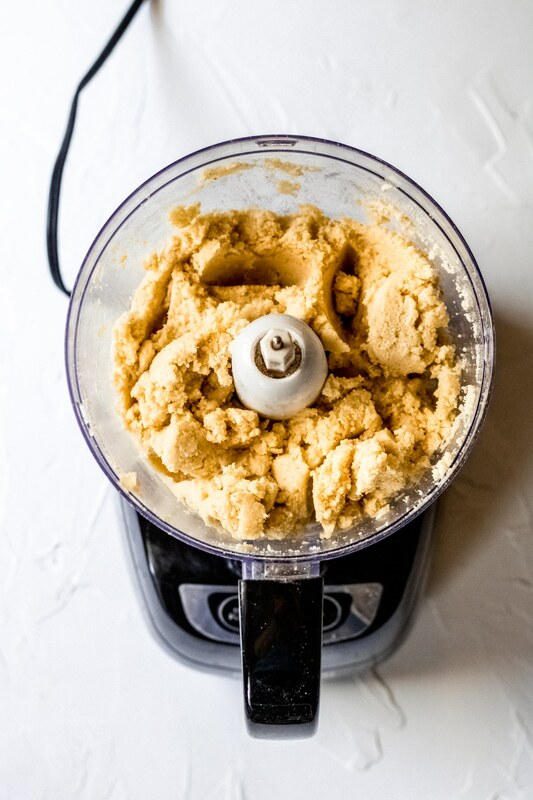 In a food processor, add the flour, cornmeal, sugar, and butter – pulse until combined and you have coarse crumbles. Add the egg and water, pulse again until the dough comes together. You may need to stop and use a spatula to stir, then pulse again. Remove dough from processor, wrap and refrigerate for 30 minutes. 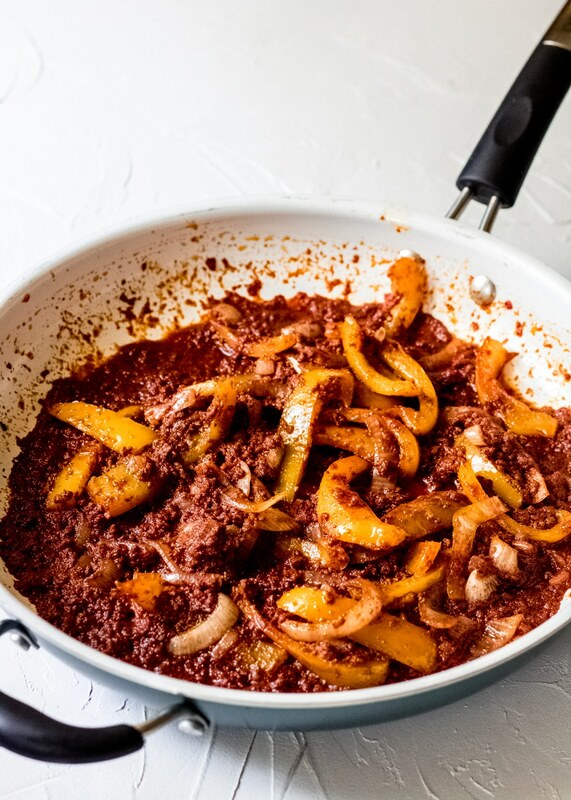 While the dough is chilling, add the chorizo, peppers, and onions to a large skillet and cook over medium heat. 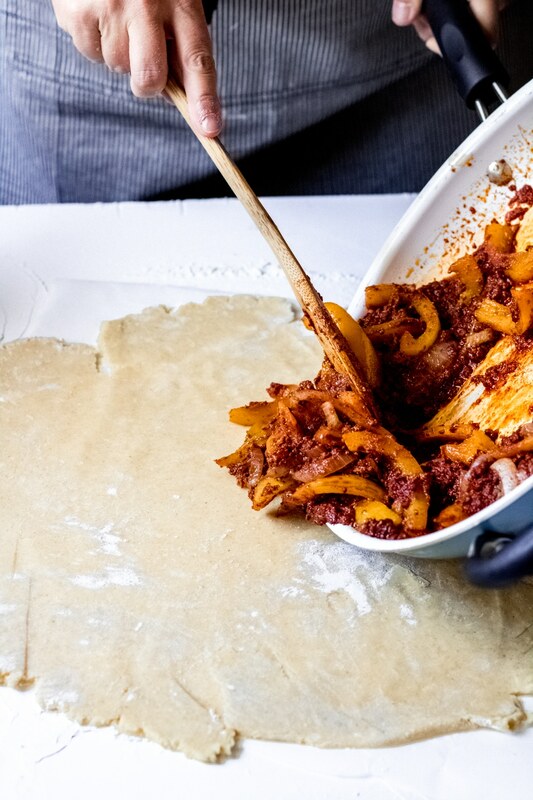 When the dough is ready, and the chorizo and peppers are cooked, place the dough onto a floured piece of parchment paper. Using a floured rolling pin, roll out the dough into a 12-14 inch circle. Transfer the cooked chorizo mixture onto the center of the dough circle. Carefully fold up the edges of the dough, pinching together any cracks along the sides. Top with shredded quesadilla cheese and then carefully transfer the galette, parchment paper and all, to a baking sheet. Bake for 35-40 minutes or until the crust is crispy and golden brown. The crust will darken where it absorbs the chorizo oil, however, make sure it bakes until crisp. Top with crumbled queso fresco cheese and serve. I’ve cooked this recipe with both beef and pork chorizo. In the pictures you’ll see beef chorizo, however, in the recipe directions I recommend using pork chorizo. Both will work, but for texture, I suggest using pork chorizo. I suggest using Bob’s Red Mill 1 to 1 gluten-free baking flour – I have not tested this recipe with any other 1 to 1 flour.